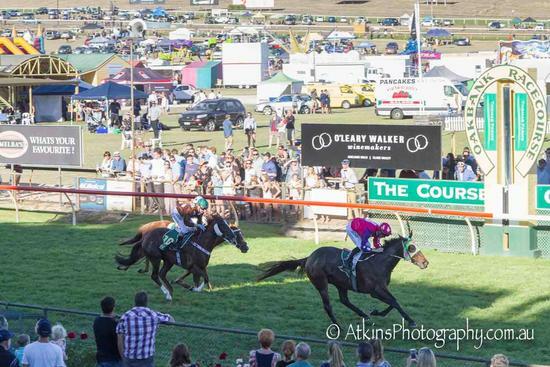 Bryan made the long trip to Oakbank for a first-up run on Easter Saturday. In the BM64 over 1,050 metres on a Good 4 Track, he swooped down the outside of the field to win by 2 lengths. He was beautifully ridden by Johnny Allen who wore the Pink, Purple and White Easter Bunny Colours which were allocated to the runner with the number one saddlecloth..